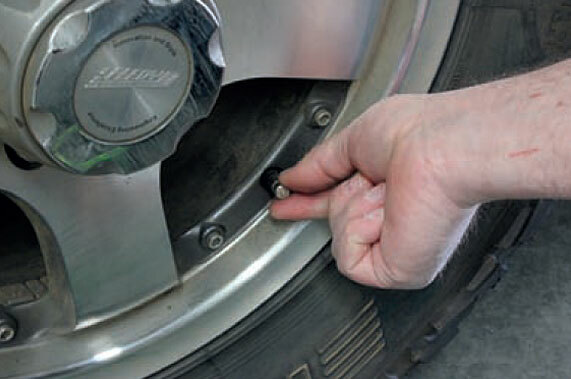 The Speedy Tyre Deflator screws onto your tyre valve, allowing you to remove the valve core for speedy deflation. 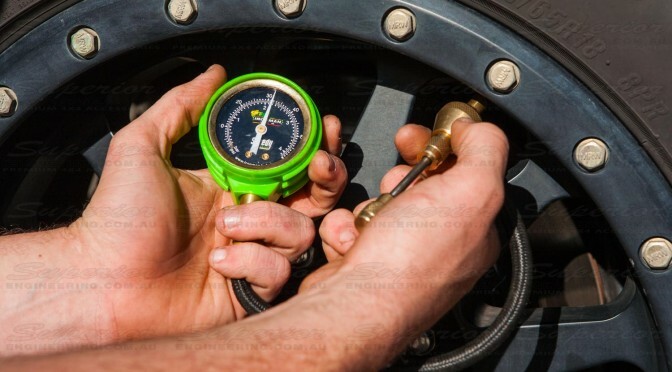 During the deflation you are able to check the pressure at anytime with the use of the built in gauge. 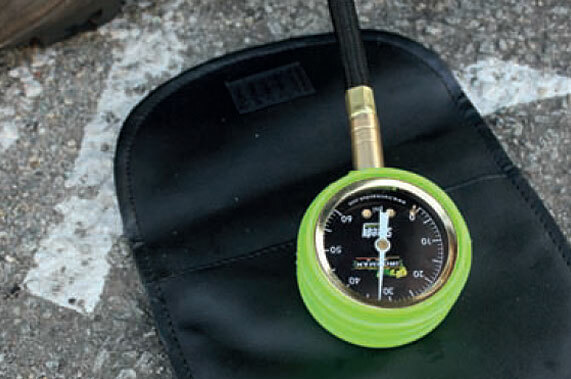 The gauge is gear driven and is easy to read with the PSI reading going from 0 to 60 with 1 PSI increments. 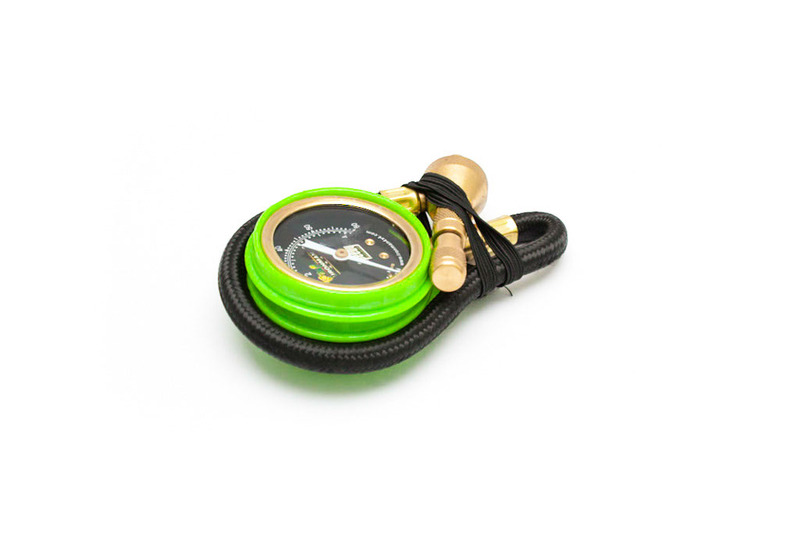 The Ironman 4×4 Speedy Deflator comes in a black vinyl protective pouch. 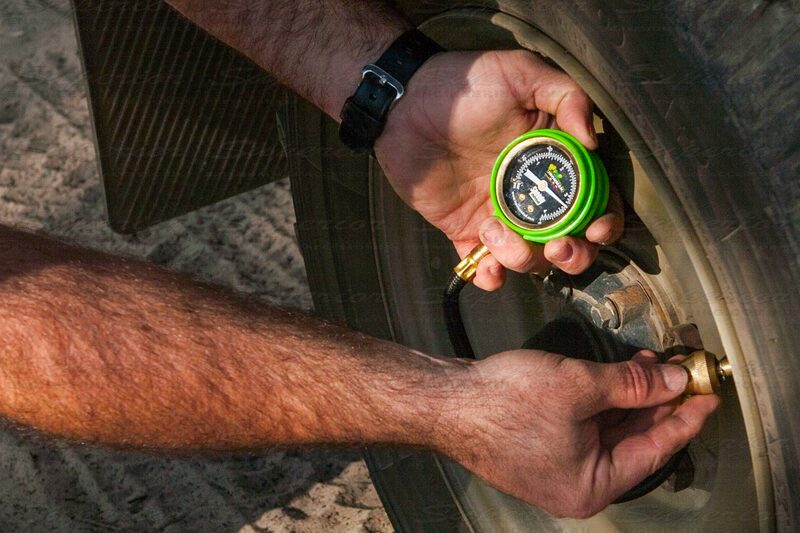 Corrosion resistant tyre deflator tool. 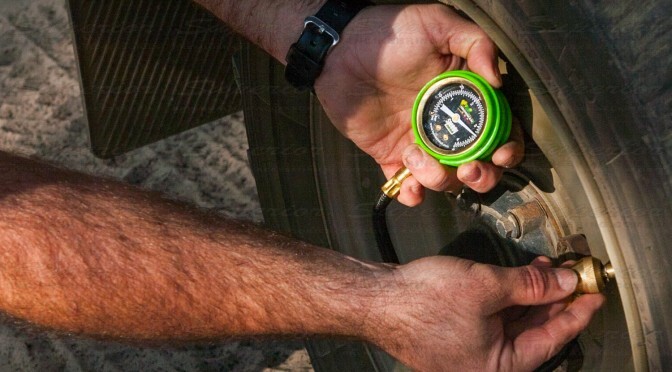 These instructions show you how to deflate your tyres using the Ironman 4×4 Speedy Tyre Deflator. 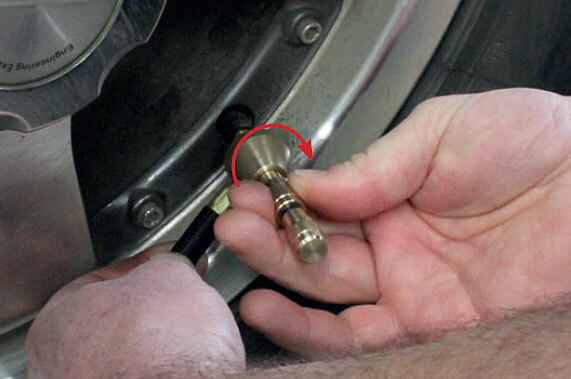 Attach Speedy Deflator to valve stem by supporting hose collar and rotating the valve stem adaptor in a clockwise direction. 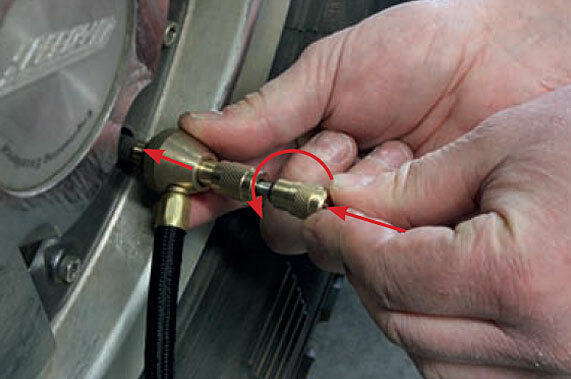 Push hose collar towards valve. 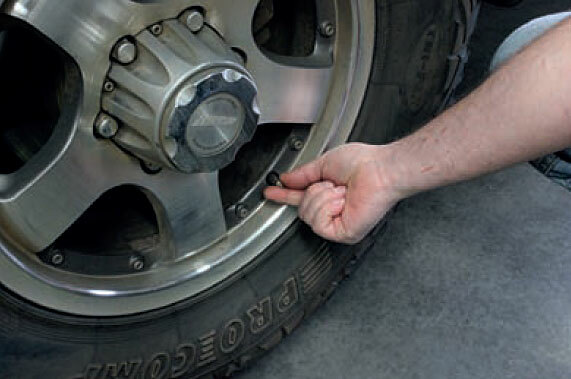 Push valve remover towards valve and turn in an anti-clockwise direction until air pressure in tyre pushes valve and valve remover away from valve stem. 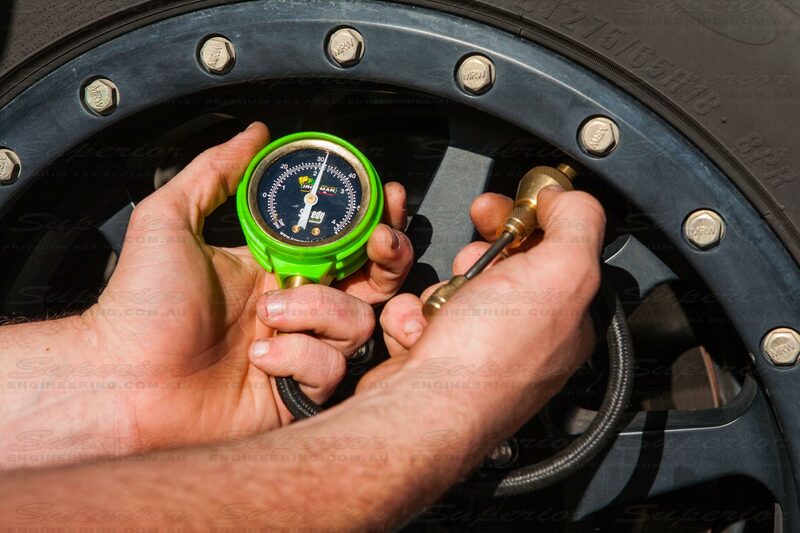 Gauge will now indicate tyre pressure. 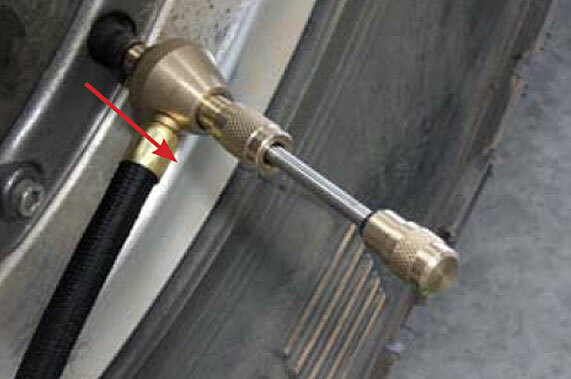 Slide hose collar away from valve stem. The tyre will now begin to deflate. 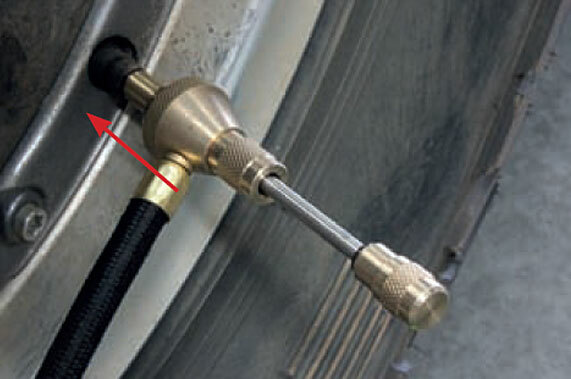 Once a desired air pressure is reached, slide collar back towards valve stem. Step 5 Push valve remover back in and screw in a clockwise direction until valve is tight. Remove Speedy Deflator and refit valve cap. 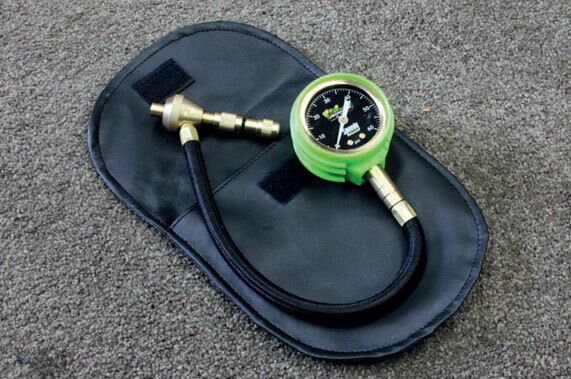 G’Day, today we are going to look at the new Ironman 4×4 Speedy Deflator. 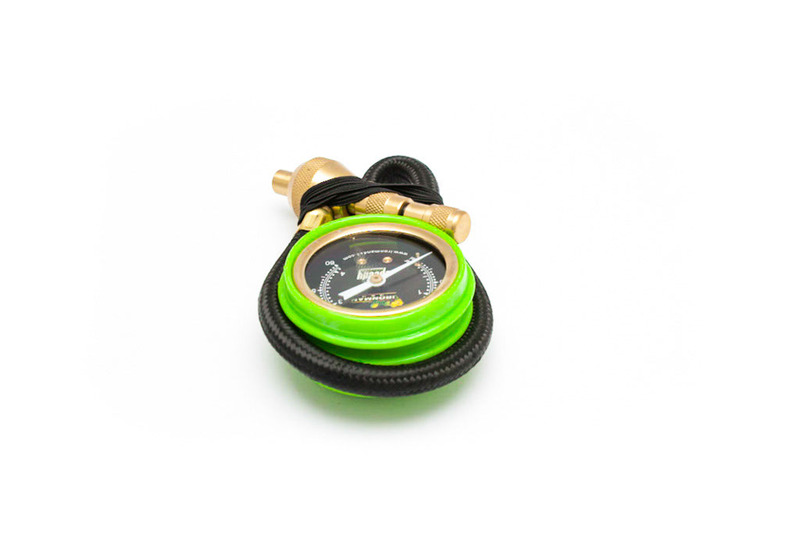 What it is, is a tyre deflator system. Lets your tyre down really quickly. 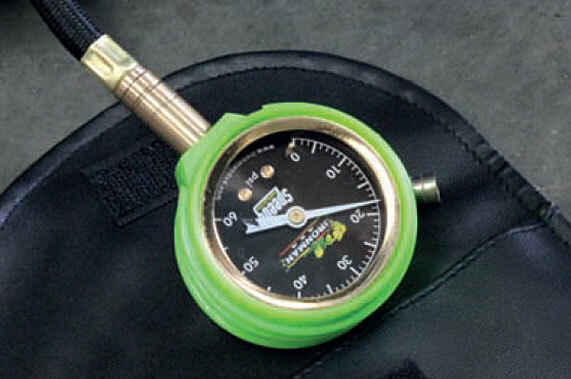 Gives you a lot of accuracy using the gauge. So I will just quickly show you how to do it. What we do is screw this brass part onto the valve cap. Now we are just going to remove the valve. So we have got clean air all the way out. Ok. Now you will see the pressures come up. Now what we do is slide this back. Because there is no valve in there we are letting out maximum air pressure. So once we get to the pressure we want. So we just let that down. You see it just dropped a couple of PSI in a couple of quick seconds. We put the valve back in. Remove the assembly and we are done. 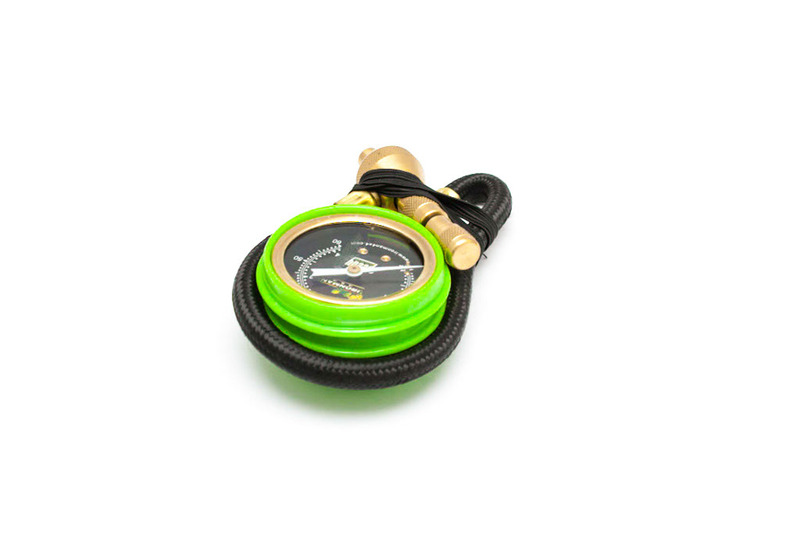 There you have it, the Ironman Speedy Deflator. 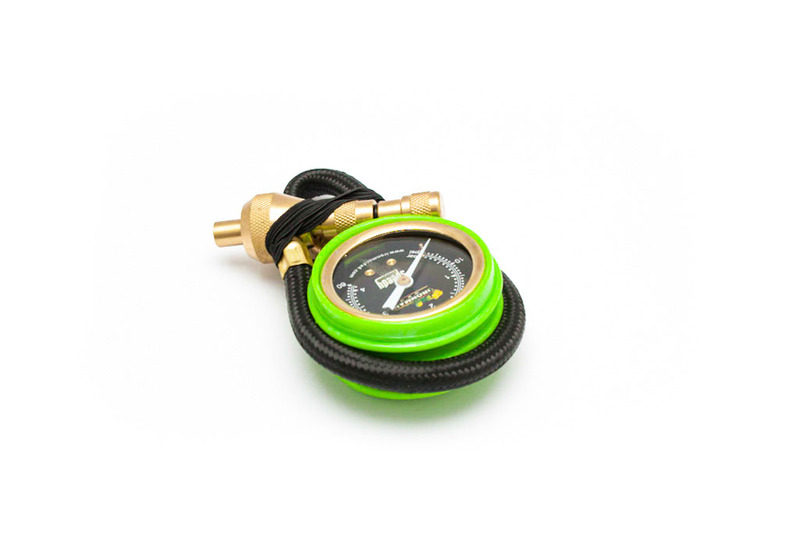 Why Would You Use A Speedy Deflator? 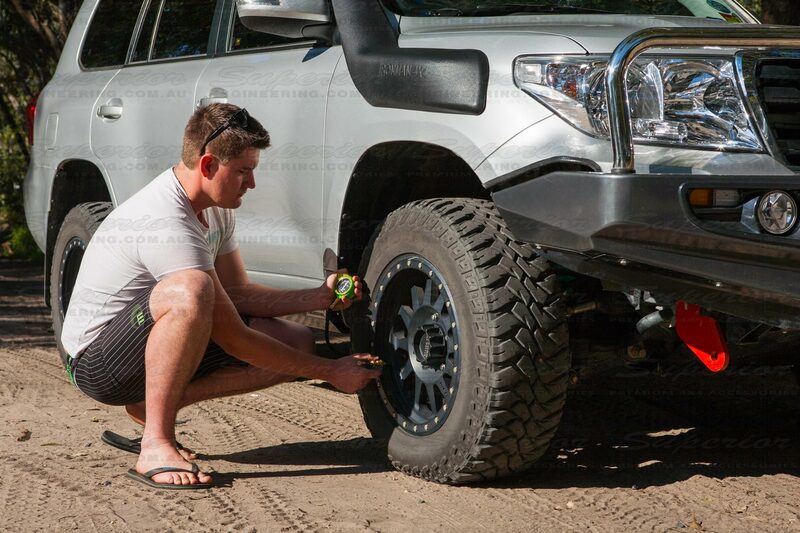 When you need to let your tyres down you can’t go past Ironman 4×4’s Speedy Tyre Deflator. 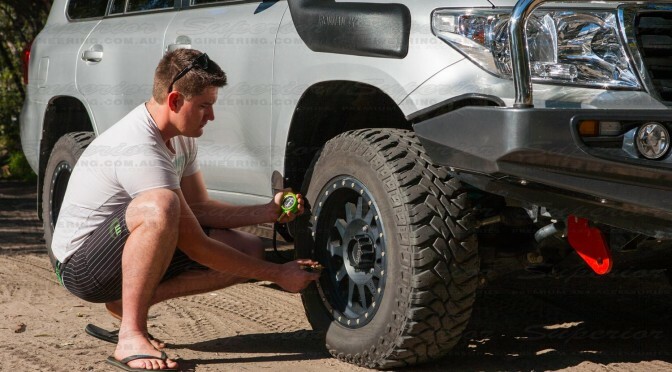 This patented design is one of the quickest and easiest ways to let your tyres down when you are heading off road. 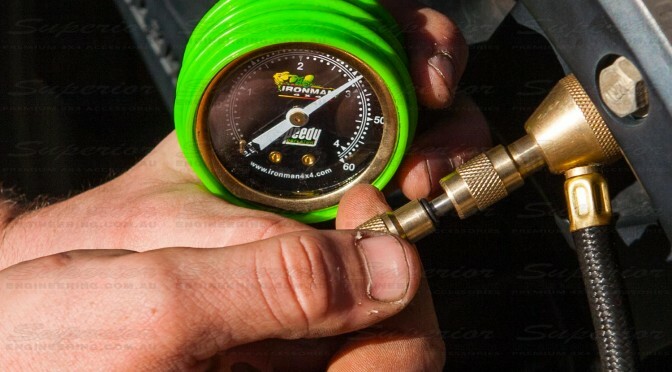 The Speedy deflator removes the tyres internal valve letting the air escape freely. 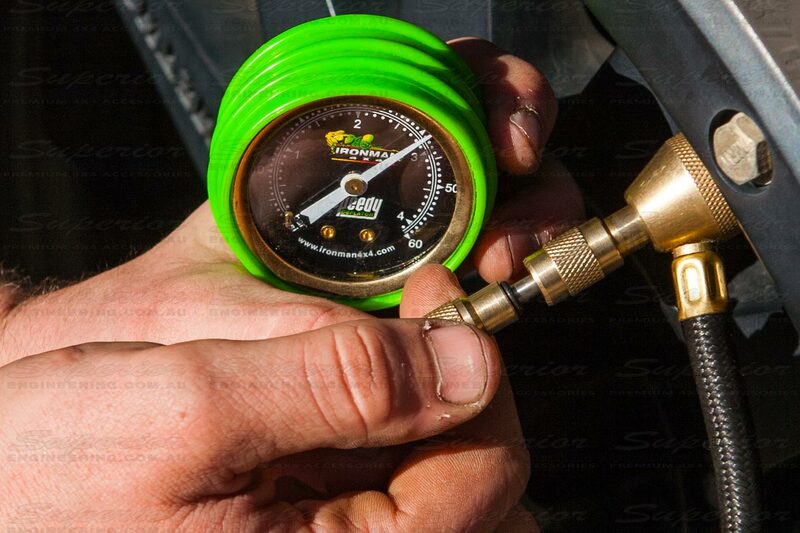 The gauge has both Bar and PSI measurements allowing for accurate deflation. This little unit is so quick and handy it’s the fastest way I have found to deflate your tyres and to get back on those tracks.